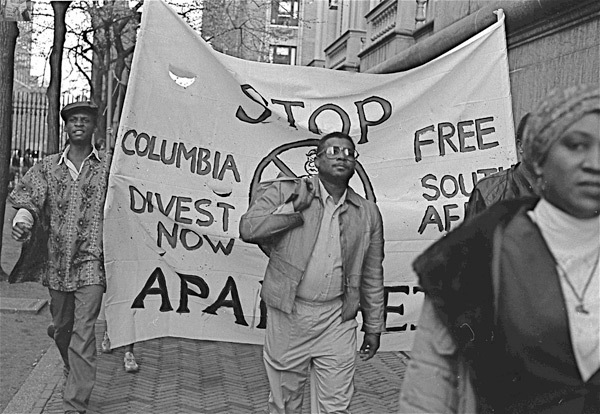 Protest at Columbia University, 1985. This module covers a post-Civil Rights Movement world shaped both by the prior freedom struggles and new injustices. “Future in the Present” offers material of a more recent, perhaps more familiar history, which students can use to make connections between the present and material in previous units. This module should help students consider the ways issues in American current events, such as the growing gap in wealth or battles around affirmative action, are rooted within the legacy of racial oppression. Jim Crow segregation may seem distant to students, yet this module can demonstrate places in society where structures remain separate and unequal, such as the voter fraud in the 2000 Presidential election. This can foster new places for conversations about how discrimination persists for students in their own lives. 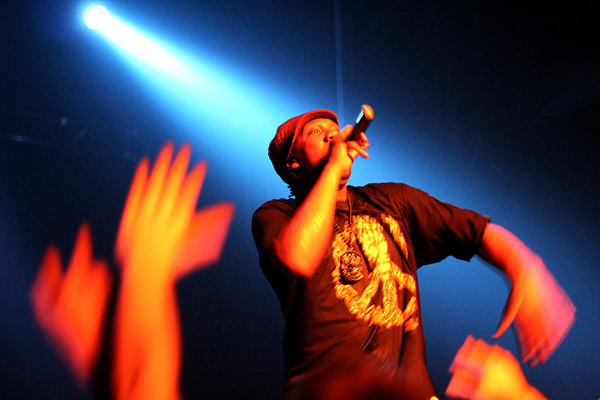 This module also provides material to consider how the tradition of freedom struggles, from the abolitionist movement to Garveyism, can be considered relevant to the making of more contemporary social protests like the hop- hop artists who lend voices to urban black communities through their lyrics. It also may help students think through the ways in which the African American experience has informed other movements, such as the current lobbying for immigrant rights. How have these earlier movements shaped the way that people protest and demand more from American democracy? What are political and social issues that still require changes from this society? If nothing else, this module attempts to build bridges: to show the nearness of history and provide ways of thinking through those stories as an essential force for future change.